While Americans are quick to dismiss Macau as an Asian knockoff of Las Vegas, that's hardly the whole story. The Chinese territory's gambling industry is now seven times bigger than Vegas in terms of the revenue it generates from gaming. Macau's 33 casinos have no trouble attracting millions of Chinese gamblers through their doors every year, largely because gambling is illegal in mainland China. Yet the region is gaining popularity with Aussies, Kiwis, Europeans, and Asians, especially since American and Australian gaming companies have now opened magnificent casinos on Taipan Island and the Macau Peninsula. Macau isn't just home to four of the world's five biggest casinos, but betting is officially the city's lifeblood. 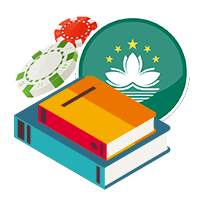 Unlike Las Vegas, which now treats gambling as just one of many ways to let loose, Macau revolves around wagering. While the Portuguese-influenced Chinese culture of the area has its charm, and many of the newest casinos give some of the world wonders a run for their money, non-gamblers tend to get bored quickly. Some visitors do find the museums, shows, beaches, restaurants and amusement park enjoyable, but they can feel like an afterthought as gaming takes centre stage. Fortunately, this is starting to change as Cirque de Soleil now stages a feature show in the city and international superstars like Beyoncé have performed here. There's no denying that gambling is the focus in Macau. As it stands now, you'll only find Las Vegas quality entertainment at The Venetian and City of Dreams casinos. Yet that's not necessarily a bad thing if you're more interested in betting or people watching. The gambling culture itself is uniquely Asian, with players firmly believing in luck and often treating betting as an investment, even if it's a mathematically losing proposition. It's not rare to find people playing for two days straight, with little or no sleep. The good news is even casual bettors can have fun while playing sensibly. Just prepare yourself for much higher stakes than you'll find at home, unless you stick to the pokies. Whether you love gambling yourself or watching high rollers risk it all, Macau will not disappoint. As the world's number one gambling hotspot, there's no shortage of excitement in this town at least in the casinos. You'll find action around the clock that makes the Crown Melbourne and Star Sydney seem like a library. It's easy to enjoy poker, mah jong, roulette, blackjack, sic bo, baccarat, boule, poker machines, fan tan, keno, and many more games. With 33 casinos at your disposal, it's not hard to find a fantastic place to play. Just think about how long it would take you to visit Australia's measly 13 casinos. In Macau you'll not only be able to count on an impressive selection of games for any budget, but you can choose from establishments that cater to Asian or American tastes. You won't even have to cover an entire continent in the process. While the number of casinos in Macau is remarkable by itself, the city is home to some of the world's most impressive casino resorts. As Las Vegas continues to struggle after the great recession, developers have set their sights on Asia. Luckily Australians like you can stand to profit. Even though Macau is geographically closer to Australia than Las Vegas is, it's still quite a trek. While you can certainly find affordable return flights, prepare for lengthy stopovers. It's definitely too far for a weekend getaway. Most people are better off visiting the territory as a stop on a larger Asian trip. While many casino staff speak English, most of the patrons don't. Half of the fun of Australian and American casinos is carousing with residents and visitors from all over the world. You just won't find that vibe here. As a global gambling epicentre, Macau has its share of crime. Money laundering is still a big problem in the city. While this won't affect Australians directly and the city is relatively safe, you should be on alert for other scams like credit card fraud and petty theft. Inspired equally by its Las Vegas namesake and Venice itself, this lavish property easily puts its American cousin to shame. The Venetian Macau is now the world's largest casino with 51,000 square metres of gaming space and 3,000 palatial rooms, but it's most famous for its canals and gondoliers. The theatre plays host to American favourites like Shrek the Musical, Stomp, and Blue Man Group. Set on the Cotai Strip, City of Dreams is an American-style casino resort featuring 39,000 square metres of gaming and 1,400 hotel rooms. Guest can choose from luxury rooms at the onsite Grand Hyatt, Hard Rock, and Crown Towers Hotels on site. The property lives up to its name with fantastic installations and attractions including the Dancing Water Theatre, Bubble Fountain, and Vquarium. The Boulevard offers great shopping, even if you stay elsewhere. Despite being the city's tallest building, Altira Macau has only 216 hotel rooms. Yet members of the public are even more surprised that they can only access 99 pokies and 20 table games. The casino has an additional seven floors of gaming, but these are reserved for junket players or VIP high rollers. Still, the property offers the best views and most elegant rooms in the city, if you can manage to get a reservation. If this casino has a markedly American feel, that's entirely intentional. The property is owned by Las Vegas Sands and puts gaming first. You won't find the frills or flamboyant decor that are the hallmarks of the region's other establishment at Sands Macao. What you can count on is 1,200 pokies and over 700 tables. There's also a comfortable 289 room hotel, which offers modern yet affordable lodging, three signature restaurants, a pool, spa, salon, lounge, and theatre. Best known for its appearance in Skyfall, the Wynn Macau deserves credit for bringing Western style gambling to the city. The American-style casino resort boasts 1014 hotel rooms, 375 pokies, 500 table games, five restaurants, a massive retail complex, a spa, salon, heated pool, four fine dining options, and great bars. Like its Las Vegas counterpart, Wynn Macau has a notable life imitating art theme. You won't want to miss the performance lake, dragon of fortune, moon jelly aquarium, and tree of prosperity, as well as signature pieces throughout the property. If you're looking for a truly Asian gambling experience, the Galaxy is out of this world in that regard. The gaming floor is glamourous with roughly 600 tables and 1,500 slot machines. The casino is known for awarding the biggest jackpots in Macau. The property features a total 2,200 rooms if you count the second tower, which is home to a Banyan Tree Hotel and Hotel Okura. Don't forget to check out the rooftop beach and wave pool. This centrally located Asian style casino hotel offers a massive 13,000 square metre gaming floor and spectacular well-appointed rooms that are surprisingly affordable. Visitors will find 500 games including poker machines, roulette, Caribbean stud poker. baccarat, and sic bo. Guest can count on outstanding dining at the hotel's five restaurants and ample entertainment at 16F Whisky Bar. Don't forget to take advantage of the free shuttle. It's a great way to visit other casinos and explore the area. Steeped in a half century of history, Casino Lisboa was given a facelift in 2007. The European style casino would feel more at home in Portugal compared to today's flashier options. Given the limited real estate compared to its competitors, the casino stuffs nearly a hundred gaming tables onto the gaming floor. The best thing about the casino is that you can enjoy table games at significantly lower limits than anywhere else on our list. It's particularly great if you aren't a compulsive gambler. Famous for its stylish architecture and iconic Grande Praca central plaza, the MGM Grand is a favourite among Australian visitors. Overall the MGM Grand is classy without being over the top like many of its ostentatious competitors. Gamblers can enjoy 1035 pokies and 345 gaming tables. The casino resort features 600 deluxe hotel rooms, gourmet dining that spans the continents, a spa, fitness facilities, an awe-inspiring pool, and amazing shopping. Despite its name, the Rio is more European than Brazilian in its aesthetic and vibe. This casino is popular with the locals and for its low stakes. It's definitely grittier than the other gambling options on our list, but that's definitely part of the appeal. Even though the surroundings are intimate, there's a solid range of pokies plus plenty of tables including baccarat, blackjack, Caribbean stud, roulette, and sic bo. The Macau Tower offer spectacular views and loads of adventure. Try the tower climb, sky jump, or sky walk. Everybody loves pandas and the Macau Giant Panda Pavilion has them for your viewing pleasure. The Ruins of St. Paul's are among the city's most famous landmarks. The world heritage site can get crowded, but it's definitely worth your time if you can appreciate history. Largo do Senado is filled with European monuments and great architecture. There's lots of affordable street food too. Copa is easily Macau's best steakhouse and it's conveniently located right inside the Sands. The Venetian's Golden Peacock is the place for scrumptious butter chicken, curries, and other Indian specialties. Urban Kitchen's all day buffet offers a fantastic international menu of fresh selections. Lai Heen serves sensational Cantonese cuisine from the 51st floor of the Ritz Carlton. Macau is unlike any other place on the planet, yet it's also evolving. Even though it is definitely still geared towards gamblers, you'll probably feel at home if you are content to watch. The energy can be infectious no matter what language you speak. Just prepare yourself for a small dose of culture shock and much higher stakes than you'll find at home.